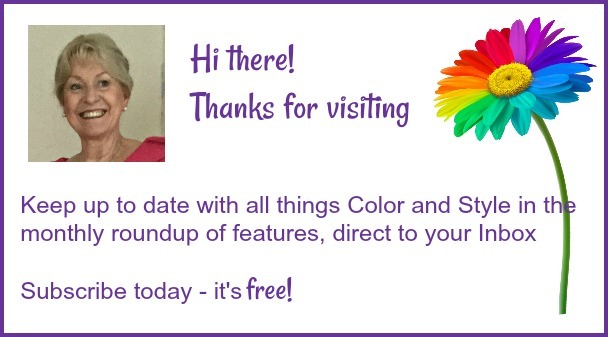 How to use your Color Swatch? 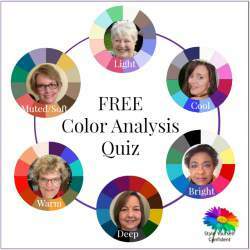 Do you know how to use your color swatch? It can be very difficult to hold a color shade in your head and store lighting makes it more so. A color swatch in your bag will show you how to easily recognize the colors that suit you. It makes shopping easier and reassures you that you're spending wisely. No more mistakes hanging in the wardrobe and always look your best! Holding your new color swatch is quite exciting as you flick through the beautiful colors and recognize how easily they all harmonize. But what next? Uh..uh... how am I supposed to transform these stunning colors into clothes to make me look fabulous? Don't panic because your wardrobe only has to work for you and your lifestyle. You don't need an extensive and expensive wardrobe and a bit of planning works wonders. If you’re a Mom at home you probably have a wardrobe full of jeans and casual tops with the odd dressy thing for evenings out. In an office all day then you’re likely to have more formal clothes but perhaps you've neglected your leisure wear. We all start from a different place, our lives are diverse. Age, personality, culture and climate will all influence your choice. 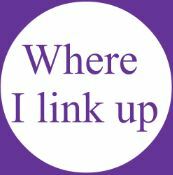 Have a quick closet tidy-up so you can see what you've got to work with and off we go! Whether you have a Tonal Color Family or you're one of the Seasons, you use your color swatch in exactly the same way. Just as a family is linked by blood a Color Family is linked by color characteristics. Fan out your swatch and see how all the colors harmonize because they share the same color characteristic (or characteristics). This is a common denominator which ensures there's no color clash. It would be impossible if you had to match the swatch colors exactly, and far too limiting. Can you imagine going into a store and trying to find a dress in the exact color turquoise in your swatch? Not only would you find it impossible it would be frustrating beyond belief. No, because your swatch is a group of colors that all harmonize and work together, you just need to look for a color that fits in and belongs to your Color Family. It's easy to do if you hold your swatch against a garment or piece of fabric. See whether it fits; see whether you can see a shade that is closely related. We are using the swatch as a 'blending tool' to see if it 'connects' with the new color. In the image above we're looking at COOL and WARM. Cool colors have a Cool/blue undertone, Warm colors have a Warm/yellow undertone. On the left the Warm Color Family 'sits' uncomfortably on the cool pink; on the right the colors settle in harmoniously with the warm toned fabric background because the colors 'connect'. Take any garment from your wardrobe, fan out your color swatch to similarly colored ‘windows’ and see if the colors sit harmoniously. Do the red windows sit happily with your red sweater? Do the green windows sit happily with your green skirt? Colors will rarely be identical, they could be lighter or deeper, they just have to make this connection. 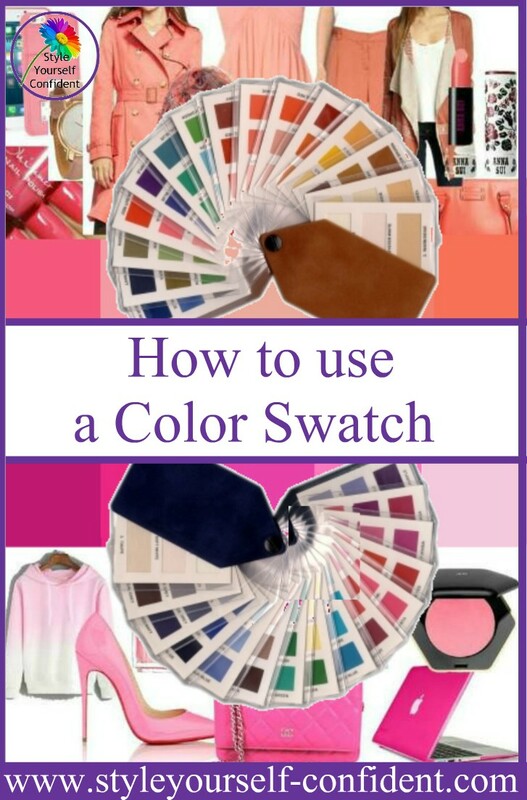 Learn how to use your color swatch as a blending tool and it will work for all the clothes in your wardrobe and when you're shopping. If it looks good with your swatch it looks great on YOU! Above left I show the Cool color swatch and I've assembled a collection of clothes that echo the colors of the swatch. The blue undertone of the swatch colors is repeated in all the clothes even though the shades may not be exactly identical. Each one is making a 'connection' with the swatch fan. Above right: When the Warm color swatch is placed on the same image there is no 'connection'. None of the clothes relate in any way to the colors in the Warm swatch because the undertone is completely different. The clothes have a Cool undertone; the swatch has a Warm undertone. 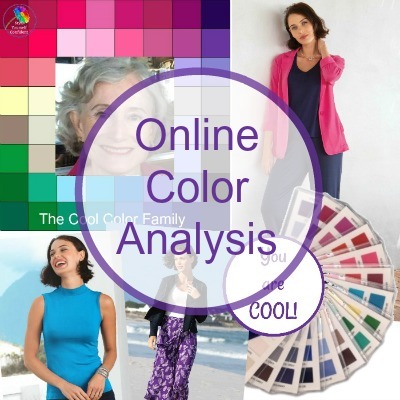 Identify the characteristics of the Color Family you are looking for. 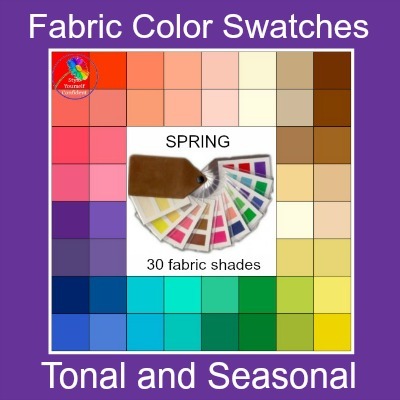 Check out the Seasons and the Tonal Color Families to see how they are described so you can use your Color Swatch easily and find the colors that bring you to life!